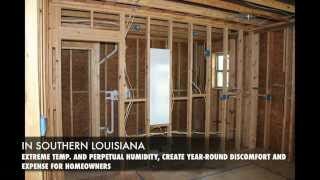 From walls to attics, or crawl space insulation, we provide top to bottom spray foam insulation services for Louisiana homeowners. 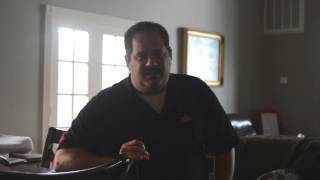 But most importantly, here from other homeowners on their customer reviews, see our spray foam insulation video gallery of our tutorials and services. Our selection of spray foam insulation products include closed and open cell spray foam insulation, solar PV panels, and cellulose insulation to name just a few. Learn more about these products and services and how they’ll benefit your home! 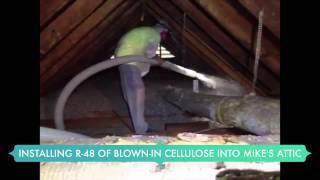 R-48 blown in cellulose will revive your attic and lower your utility bills tremendously. There are many ways to insulate. Why not dense pack your walls. We can blow cellulose into all of your walls to cause optimal insulation through out the whole year. Keep your house cool in the summer, and warm in the winter. No job is to big, no ceiling is to high. This newly build 11,00 Sq. foot home with 35 Ft. high ceilings proved to be a challenge but our results are outstanding. Don't let buckling or cupping happen to your hardwood floors! 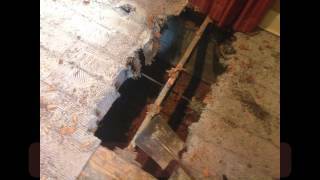 The damage that moisture can cause to your floors is horrendous. 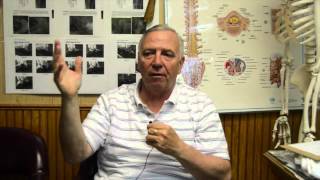 Rot, crowning, and lifting are just a few of the horrible symptoms. 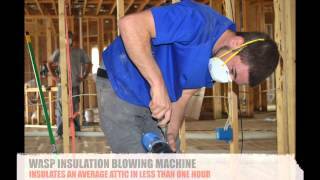 Insulate your sub floor today ! 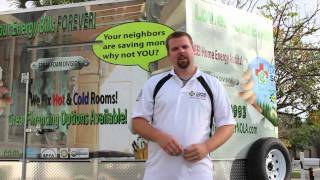 Complete home insulation saves homeowner HUGE on energy bills. Judy Holcomb's 1923 newly renovated home received mist-applied cellulose in the walls and spray foam in the roof sheathing. Sunlight went to help out Land or Sea and kept there docks from sinking. 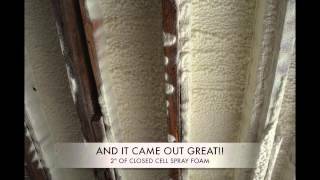 Marine flotation is possible with our closed cell spray foam, We can make anything float. This customer was so ecstatic! 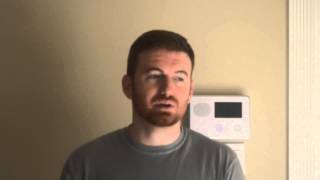 Why are you spending ridiculous money on your utility bills? 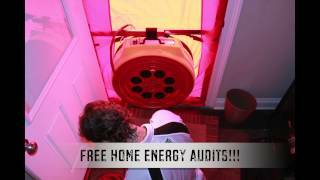 Blow in our insulation and save hundreds! 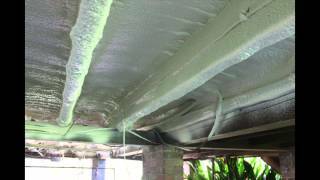 We can spray foam any surface including metal buildings, Metal roofs, and steel buildings. Learn more about the services we offer homeowners! 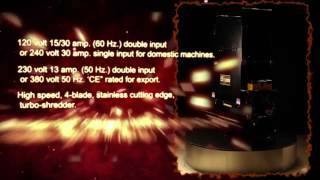 Learn about the knock out combination of closed cell insulation and open cell insulation. 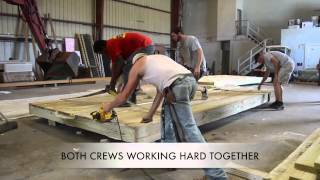 Learn what set Sunlight Contractors apart in this homeowner's research. 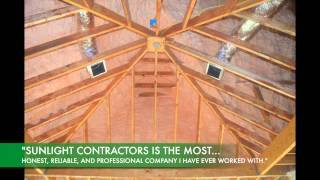 Learn how an investment in attic encapsulation can save hundreds of dollars each month. 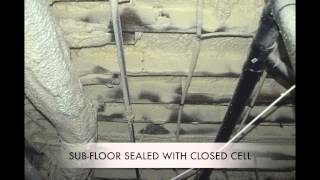 Learn how closed cell seals ductwork beneath sub-flooring. 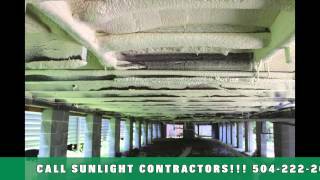 Spray foam insulation does it all! 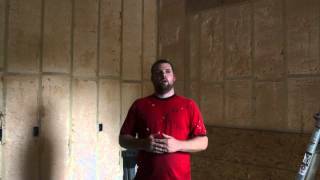 Learn how spray foam insulation provides Vapor, Air, and Moisture protection in one product! Learn why this New Orleans homeowner recommends Sunlight Contractors for spray foam installation. 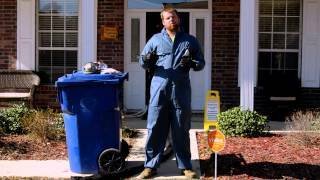 Learn why customers trust our services long after we've cleaned up and gone home. 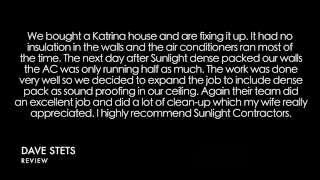 New Orleans homeowner: Sunlight Contractors was a pleasure! 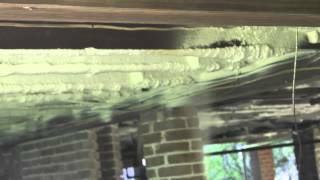 Learn how closed cell spray foam applied beneath homes can prevent floorboard cupping. 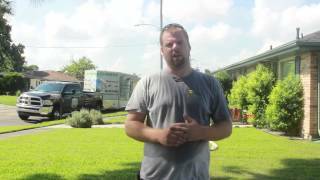 Learn why New Orleans homeowners trust Sunlight Contractors! 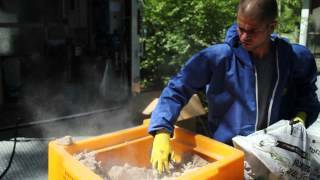 Learn how we protect our clients and their neighbors during spray foam installation using proper PPE and other precautions. 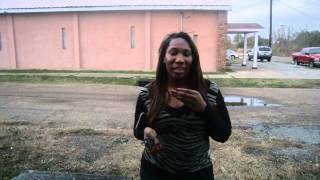 Making solar work for New Orleans homeowners. 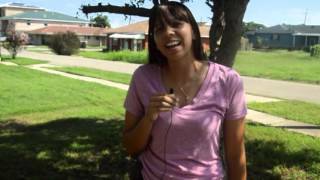 Learn how the team assures that customers get the most value out of their solar panels. 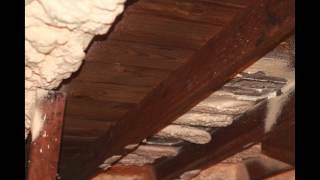 Learn how spray foam insulation can lower the heat in your attic and the strain on your HVAC unit. 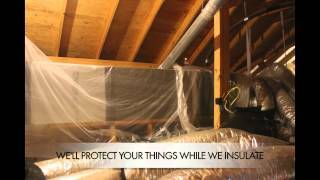 Learn how to reduce energy loss through attic encapsulation. 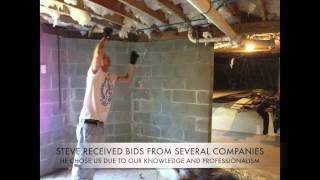 Learn how Corey and the team prepare an attic for encapsulation. 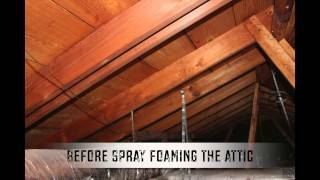 Watch as an attic gets a spray foam insulation renovation. 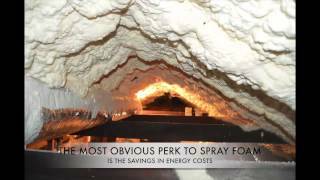 Learn why more home owners and contractors are choosing spray foam insulation. 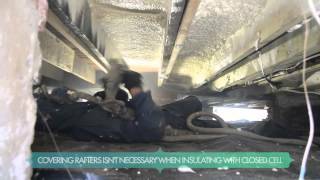 Watch as Corey applies closed cell spray foam to the underside of a raised cottage. 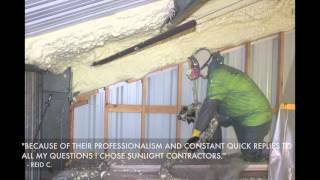 Learn how blown in cellulose insulation can help seal tricky attic spaces. 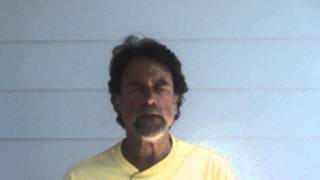 Learn how to protect your raised cottage with spray foam insulation. 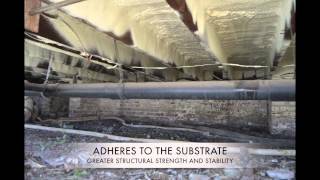 Learn the benefits of crawl space insulation. 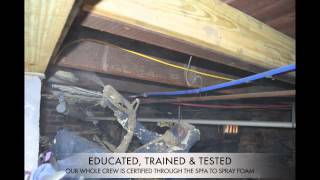 Learn the proper safety procedure during spray foam insulation. 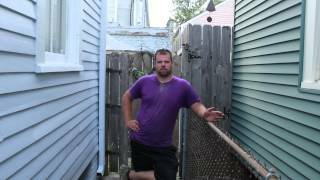 Learn why closed cell is better for homes with crawl spaces.